Short term rental only. Close to transport, amenities, shopping, cafe's, bars, nightlife and River. Everything in walking distance. Pool, sauna and gym outside your door. Not a party place, so quiet when you want to be quiet, yet close to the fun if you want to go out. Internationals welcome! Single bed in share room with one person $165 private room+private bathroom $320 Welcome couples! Great pools and beach! 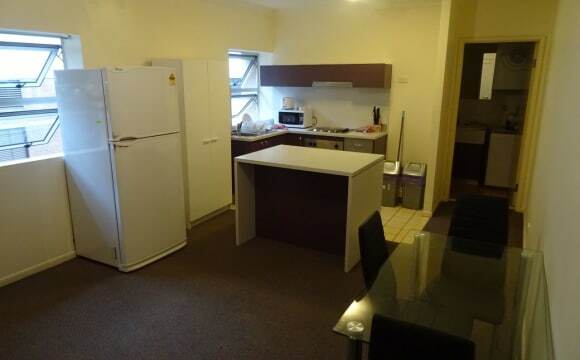 Perfect for students and a great atmosphere in the apartment The most central apartment in Brisbane! Right in the heart. Safe and secure access 24 hours. This is a resort style accommodation! Great pools to relax in We have students from Sweden, Brazil, Norway, Japan, Germany, Canada, Colombia, San Marino, Spain, Colombia and Italy. This apartment is large and spacious with a big balcony. bills included and incendaries (cleaning products). Fibre optic with wifi for internet. 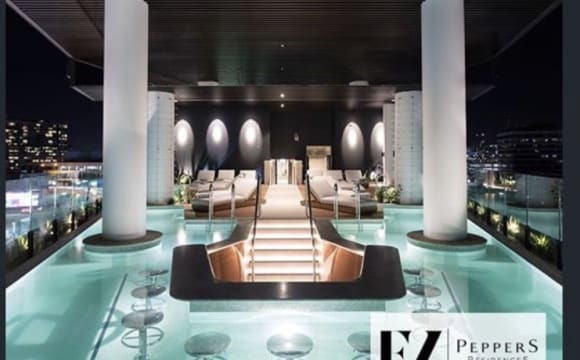 The complex has lots to do with two pools, beach, jacuzzi, sauna and gym. Come and lie on the beach! Come and enjoy the summer ! The room is fully furnished. The apartment is clean and very spacious with good people Walking distance to the city, 1 minute walk into the heart of Fortitude Valley! There is a great walk around the Brisbane River to do in the evenings. Lots of coffee shops and bars nearby. Train, Bus and Ferry transport very close! Internationals welcome! Single bed in share room with one person $160 private room+private bathroom $320 Welcome couples! 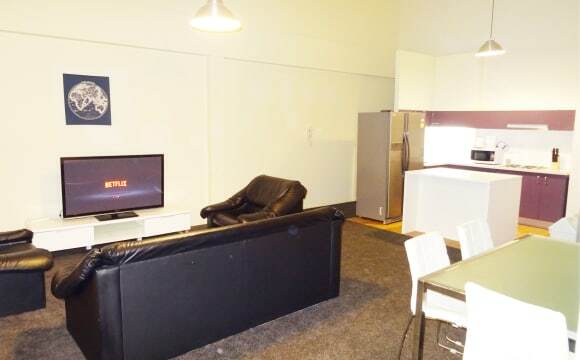 Perfect for students and workers, great atmosphere in the apartment The most central apartment in Brisbane! Right in the heart. Safe and secure access 24 hours. 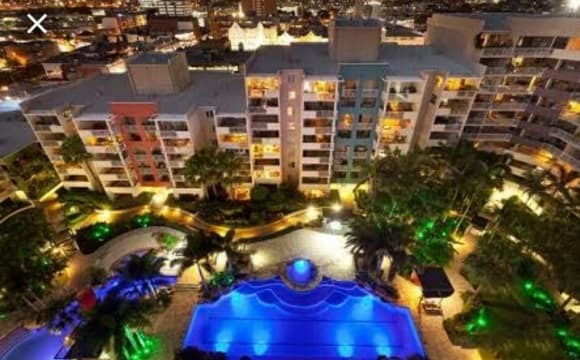 Great pool to relax This apartment is large and spacious with 2 amazing big balconies. bills included and incendaries (cleaning products). Fibre optic with wifi for internet. The room is fully furnished. The apartment is clean and very spacious with good people Walking distance to the city, walk into the heart of Fortitude Valley! There is a great walk around the Brisbane River to do in the evenings. Lots of coffee shops and bars nearby. Train, Bus and Ferry transport very close! We have 1 bed available for a boy. Do you wanna live in a really good accommodation, with a friendly environment and all comfort that you need for your life in Australia? WE GOT THE RIGHT PLACE FOR YOU! 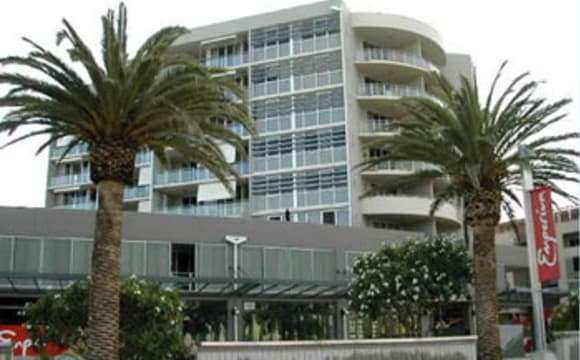 Australia Rental offers the best quality in short and long-term accommodation in Brisbane. - ALL BILLS INCLUDED - UNLIMITED INTERNET WIFI *** it’s ultra-fast ;) - WEEKLY PROFESSIONAL CLEANING - FULLY FURNISHED FLAT - FREE MOVE IN TRANSFER ** that’s helpful ;) With 24hrs emergency contact, all cookies and kitchen appliances, very comfortable couch, BIG LCD TV, comfortable beds and pillows (included bed sheets and pillowcase) all that you have to do is relax and enjoy your life in Australia!!! In this flat, you gonna have really good experiences, such as get to know a lot of different cultures, live with great people and hang out with really friendly flatmates! Did you know that? Located in Fortitude Valley, this flat is perfectly positioned just 1.8km from Queen Street Mall in CBD, a few steps to the Train Station, public transports right in the door, dining, shopping and entertainment, Royal Brisbane Hospital and the RNA showgrounds, with many gyms nearby and in the heart of Brisbane’s Nightlife. We have 2 beds available for a boy. Only 2 Weeks Bond deposit and Long/Short Term Contract. If you are interested or have any questions, feel free to contact us now to organise an inspection! Do you wanna live in a really good accommodation, with a friendly environment and all comfort that you need for your life in Australia? WE GOT THE RIGHT PLACE FOR YOU! Australia Rental offers the best quality in short and long term accommodation in Brisbane. - ALL BILLS INCLUDED - UNLIMITED INTERNET WIFI *** it’s ultra fast ;) - WEEKLY PROFESSIONAL CLEANING - FULLY FURNISHED FLAT - FREE MOVE IN TRANSFER ** that’s helpful ;) With 24hrs emergency contact, all cookies and kitchen appliances, very comfortable couch, BIG LCD TV, comfortable beds and pillows (included bed sheets and pillowcase) all that you have to do is relax and enjoy your life in Australia!!! In this flat, you gonna have really good experiences, such as get to know a lot of different cultures, live with great people and hang out with really friendly flatmates! Did you know that? Located in Fortitude Valley, this flat is perfectly positioned just 1.8km from Queen Street Mall in CBD, a few steps to the Train Station, public transports right in the door, dining, shopping and entertainment, Royal Brisbane Hospital and the RNA showgrounds, with many gyms nearby and in the heart of Brisbane’s Nightlife. “PERFECT FOR FRIENDS” Only 2 Weeks Bond deposit and Long/Short Term Contract. If you are interested or have any questions, feel free to contact us now to organise an inspection! Do you wanna live in a really good accommodation, with a friendly environment and all comfort that you need for your life in Australia? WE GOT THE RIGHT PLACE FOR YOU! Australia Rental offers the best quality in short and long term accommodation in Brisbane. - ALL BILLS INCLUDED - UNLIMITED INTERNET WIFI *** it’s ultra fast ;) - WEEKLY PROFESSIONAL CLEANING - FULLY FURNISHED FLAT - FREE MOVE IN TRANSFER ** that’s helpful ;) With 24hrs emergency contact, all cookies and kitchen appliances, very comfortable couch, BIG LCD TV, comfortable beds and pillows (included bed sheets and pillowcase) all that you have to do is relax and enjoy your life in Australia!!! In this flat, you gonna have really good experiences, such as get to know a lot of different cultures, live with great people and hang out with really friendly flatmates! Did you know that? Located in Fortitude Valley, this flat is perfectly positioned just 1.8km from Queen Street Mall in CBD, a few steps to the Train Station, public transports right in the door, dining, shopping and entertainment, Royal Brisbane Hospital and the RNA showgrounds, with many gyms nearby and in the heart of Brisbane’s Nightlife. We have 6 beds available for boys and girls. Only 2 Weeks Bond deposit and Long/Short Term Contract. If you are interested or have any questions, feel free to contact us now! Do you wanna live in a really good accommodation, with a friendly environment and all comfort that you need for your life in Australia? WE GOT THE RIGHT PLACE FOR YOU! 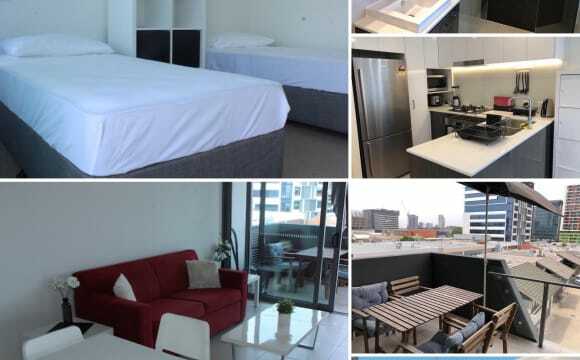 Australia Rental offers the best quality in short and long term accommodation in Brisbane. Australia Rental offers the best quality in short and long term accommodation in Brisbane. - FREE NETFLIX ACCESS ** that’s so cool !!! *0* - ALL BILLS INCLUDED - UNLIMITED INTERNET WIFI *** it’s ultra fast ;) - WEEKLY PROFESSIONAL CLEANING - FULLY FURNISHED FLAT - FREE MOVE IN TRANSFER ** that’s helpful ;) With 24hrs emergency contact, all cookies and kitchen appliances, very comfortable couch, Smart LCD TV, comfortable beds and pillows (included bed sheets and pillowcase) all that you have to do is relax and enjoy your life in Australia!!! In this flat, you gonna have really good experiences, such as get to know a lot of different cultures, live with great people and hang out with really friendly flatmates! Did you know that? Located in Fortitude Valley, this flat is perfectly positioned just 1.8km from Queen Street Mall in CBD, a few steps to the Train Station, public transports right in the door, dining, shopping and entertainment, Royal Brisbane Hospital and the RNA showgrounds, with many gyms nearby and in the heart of Brisbane’s nightlife. 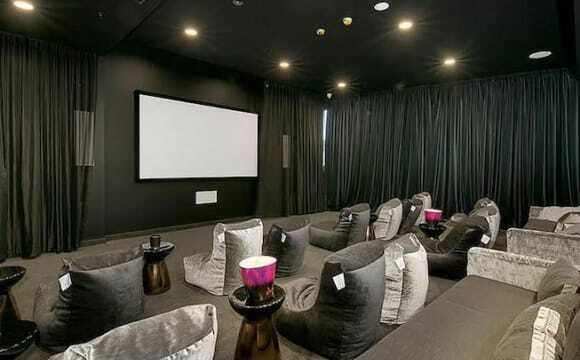 PERFECT FOR FRIENDS! Only 2 Weeks Bond deposit and Long/Short Term Contract. If you are interested or have any questions, feel free to contact us now! Do you wanna live in a really good accommodation, with a friendly environment and all comfort that you need for your life in Australia? WE GOT THE RIGHT PLACE FOR YOU! Australia Rental offers the best quality in short and long term accommodation in Brisbane. - FREE NETFLIX ACCESS ** that’s so cool !!! *0* - ALL BILLS INCLUDED - UNLIMITED INTERNET WIFI *** it’s ultra fast ;) - WEEKLY PROFESSIONAL CLEANING - FULLY FURNISHED FLAT - FREE MOVE IN TRANSFER ** that’s helpful ;) With 24hrs emergency contact, all cookies and kitchen appliances, very comfortable couch, Smart LCD TV, comfortable beds and pillows (included bed sheets and pillowcase) all that you have to do is relax and enjoy your life in Australia!!! In this flat, you gonna have really good experiences, such as get to know a lot of different cultures, live with great people and hang out with really friendly flatmates! Did you know that? Located in Fortitude Valley, this flat is perfectly positioned just 1.8km from Queen Street Mall in CBD, a few steps to the Train Station, public transports right in the door, dining, shopping and entertainment, Royal Brisbane Hospital and the RNA showgrounds, with many gyms nearby and in the heart of Brisbane’s Nightlife. Only 2 Weeks Bond deposit and Long/Short Term Contract. If you are interested or have any questions, feel free to contact us now! 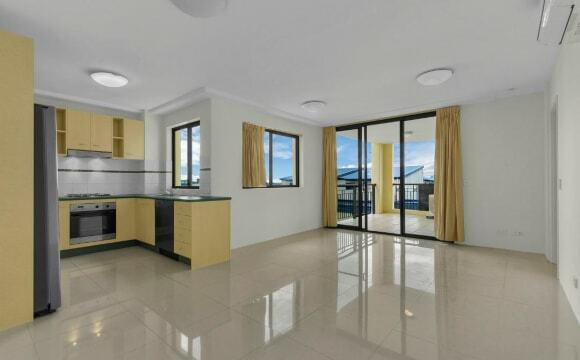 The unit is located 3 mins walking to the FORTITUDE VALLEY TRAIN STATION and many Bus Stops, next to the Chinatown and all the shops/restaurants you will find nearby, also there is a Woolworths 5 mins by walk. So, Looking for a place to stay?? FURNISHED?? With BILLS INCLUDED?? there is a Share Room AVAILABLE in the McWhirters building, you will be sharing with another person and getting a single bed for yourself. Home is a Big 4 bedroom apartment with 4.6 metres High Ceiling, Fully FURNISHED, the payment includes all the bills (internet, gas, electricity, hot water) and it's paid fornightly. To get the place just need to pay 2 WEEKS ADVANCE and the place is yours, so feel free to make inspection and get your place. There is NOTHING TO SIGN, however a minimum stay period is required, then if you want to leave, just give 2 WEEKS NOTICE. SHORT TERM is also available, any required information, just leave an inbox . For more details or wanting to make an INSPECTION, just LEAVE A MESSAGE asking for Piers. 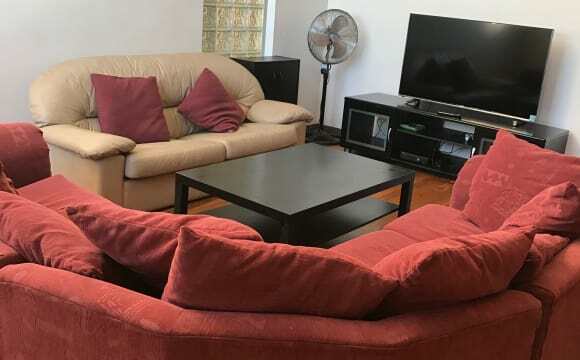 Hi, there is a single bed in a Share Room AVAILABLE in FORTITUDE VALLEY, the apartment is located on the McWhirters building, you will be sharing with tidy and organized people during your stay. 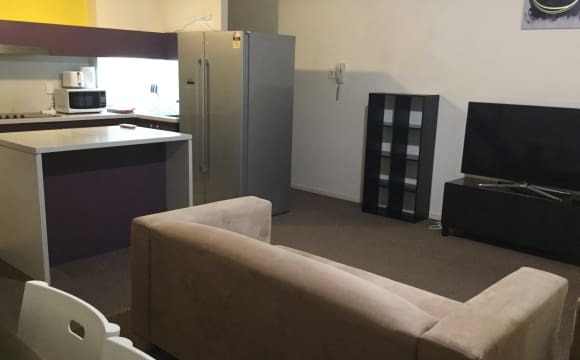 The apartment is located 3 mins walking to the FORTITUDE VALLEY TRAIN STATION and many Bus Stops, It's next to the Chinatown and all the shops/restaurants you will find nearby, also there is a Woolworths 5 mins walking, so if you want to go to the city, just catch the Train and you will be in just 2 MINUTES in CENTRAL STATION. Home is a Huge 4 BEDROOM APARTMENT with 2 LEVELS FULLY FURNISHED and spacious, payment includes all the bills (internet, gas, electricity, hot water) and it's paid for nightly. For more details or wanting to make an INSPECTION, just LEAVE A MESSAGE. The apartment is in a prime location close to everything, Woolworths, public transport and many kind of restaurants, cafes and bars. The flat has many facilities, such as: air conditioner, completely furnished, Netflix, amazing view and great environment. The building included: swimming pool, 2 BBQ areas, rooftop with the best view of Brisbane, gym, social areas, etc. 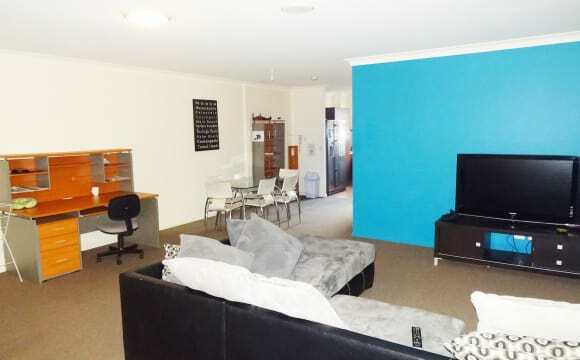 This comfortable rooming accommodation is situated right in the heart of Fortitude Valley WITH 1 WEEKS FREE RENT!!!!! You feel right at home here with the laid back atmosphere and many inclusions. It is fully furnished with utilities included. Internet is also available, courtesy of the owner This home boasts a gas cooking, a spacious lounge room with comfortable furnishings, large courtyard and the inclusion of: - common area cleaning - free laundry facilities - electricity - water - Free off street parking, first in first serve LOCATION: This is a home is less than 7 minutes walk to the Fortitude Valley train station and many bus stops. It is near China town and all of the endless shops and restaurants the area has to offer. It is an easy walk to Spring Hill and access to the city is easy with regular buses and trains at your fingertips. 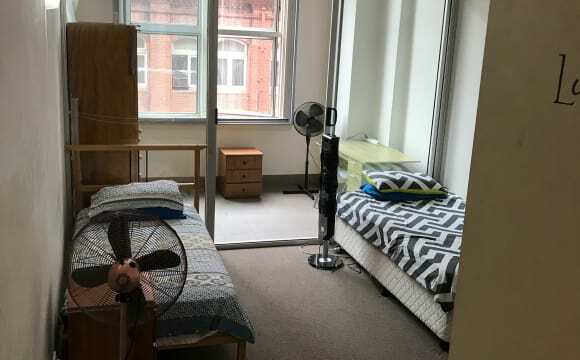 ROOMS AVAILABLE: Room 8 - $180 per week - Available NOW Room 9 - $150 per week - Available NOW Room 10 - $160 per week - Available 14/05/19 Room 11 - $170 per week - Available NOW * Single Bed * Personal Fridge * Bed * Fridge/freezer * Wardrobe * Desk with chair * Plastic Desk Bin * 1 WEEKS FREE RENT!! Singles, professionals and students are welcome **We accept Department of Housing Bond Loans** Sorry No Pets. This home has an unbeatable location and great price and 1 WEEKS FREE RENT won't be available for long. ‘One minute walk to the centre of James Street and Brunswick Street****Free Wi-Fi and no bills to worry about it**** in Fortitude Valley's newly refurbished and best ever guest house. The Valley is a vibrant and exciting place to live in Brisbane. Our Guesthouse offers location and amazing access to all the Valley, New Farm and Teneriffe has to offer. From the nightlife, live music and theatres of Brunswick Street to the divine coffee shops, restaurants and shopping of James Street. The Guesthouse itself is a combination of old and new, with rooms that are modern, charming and spacious. The shared spaces, lounge and dining, are attractive and promote inclusive living. Wi-fi and air-conditioning are all included in your new home. We have a state of the art gym at our nearby property (approximately 10 minute walk), while our residents enjoy close proximity to New Farm Park and the waterfront district. Our Guesthouse is non-smoking and we are working towards environmental respect and sustainability. We look forward to meeting with you, and welcoming you to Brisbane Boutique Guesthouse. BREAK LEASE I have been offered a good job opportunity in Melbourne and will need to break lease on or around 20 May 2019. I currently have two flatmates from Spain who are only living in Brisbane until 15 June 2019. The lease is entirely in my name, so I am currently looking for someone who is wanting to take over the lease from me and who wouldn't mind flat-sharing at least until 15 June. This place is ideal for flat-sharing for students or young-professionals as you are very centrally located with plenty of public transport options, and places to go out. Also splitting the rent of $480 per week between yourself and one or two others saves a great deal. The apartment complex is very modern with a fantastic pool/BBQ area and perfectly situated just off James Street for all your trend bar/restaurant and boutique shopping needs; but also Valley adjacent if you enjoy the clubs or live music every now and then. 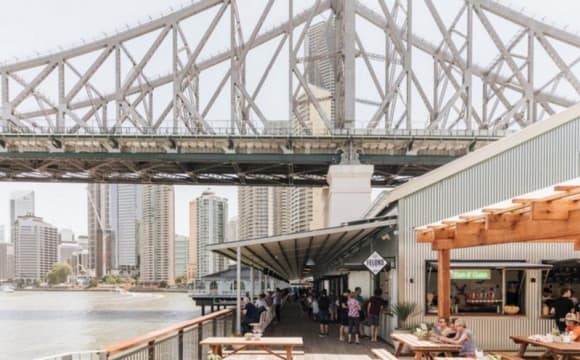 And it's a 20-minute walk to the Brisbane CBD with heaps of public transport options available. The apartment has one secure parking space in the garage. I will be taking my furniture with me however there will be a spare queen bed, a slightly water-damaged Ikea Kallax shelf, and a handful of smaller things such as glasses and kitchen containers that I would happily leave if you require. I will also be having the carpets professionally cleaned before I leave.